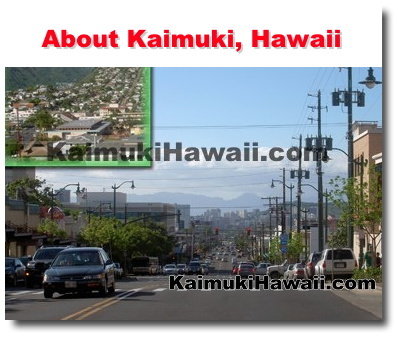 Welcome to Kaimukihawaii.com, your premier website for all happenings, events, activities, entertainment, and businesses in the area of Kaimuki. The thriving community of Kaimuki is located east of Manoa and Makiki, inland from Diamond Head on the island of Oahu, Hawaii. It is one of Honolulu's oldest neighborhoods, providing an eclectic mixture of established businesses and new trendy shops and restaurants. The area has managed to retain its historical charm while making room for new exciting business growth. Its unique character and prime location make Kaimuki a wonderful place to live, work and play. Kaimuki (pronounced ky-moo-kee) is a historic town, remaining one of the oldest communities on Oahu, Hawaii. King Kalakaua's ostrich farm was once roaming all over the mountainside of Kaimuki. Then it became the State's carnation farm for funeral flowers. Now, Kaimuki is a residential town, with the feel of the Hawaiian country, but the city is just a short drive away. With Kaimuki, you've got the accessibility to the best parts of Honolulu. The proper Hawaiian pronunciation is Ka-imu-ki, which translates to "The ti root oven". It is said that legendary menehunes built ti ovens all over the hillside in Kaimuki. Ka (the) 'imu (underground oven) ki (ti leaf). Kaimuki's first road was paved in 1925 and called Waialae Avenue. 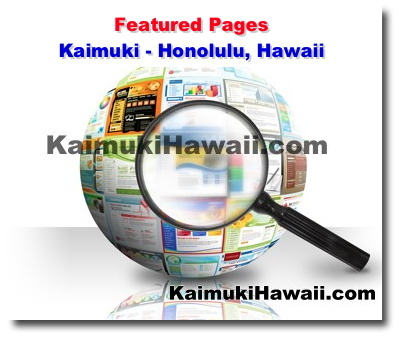 Each category below has related directory listings and GREAT special offers for the Kaimuki, Hawaii community. Note... 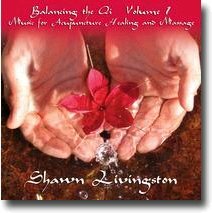 Call Ernest at 739-9797 if you like to be features one of our Kaimuki pages.